My Love Affair With Austin: You May be getting sick of this, but I don’t care. A few months ago (March-ish), AUSTIN started popping up in my life. Left and right. Or maybe it was always popping up and I just started paying attention to it? I don’t know. Regardless, it was on my radar and I noticed. Whether it was me seeing that TEXAS license plate driving down the 405, my new friendship with Kelly Krause, feeling a little inspo from my LA friends who made the move a little over a year ago, (Christin Rose AND Chris Chandler) IT (Austin) wanted my attention, so I listened. I listened and I decided to find out more. In July I had an opportunity to go on a last minute trip to this city that I had never visited before. The trip was short but served its purpose. It introduced me to a porch with really great lighting ( ;) ) and It left me wanting more. And then I went. And I got IT. The IT that anyone who has any kind of love for this city explained. Somehow this place in central Texas captures the nostalgic small town vibe that was personally familiar to my upbringing in Lewisburg, Pennsylvania mixed with the amenities of a city. Aka Whole Foods and Soul Cycle (I’m serious). OK, I thought. I’m into this… but want to know its PRIMARY appeal? Austin is a city that exemplifies this idea of COMMUNITY and belonging that people are yearning for right now. Once recognizing this, IT all made sense. I’m fortunate enough to have found pockets of that in LA. I really am. But to blindly walk into a city where that FEELING exists everywhere you turn is refreshing. Initially, we (me and Holly) had wanted to visit Austin to sit down and have #SMOOTHIECONVERSATIONS with Ms. Rose, but after falling in love with all of the magic this city has to offer, we thought why not make a trip of it and talk to as many women as we could? It was like we were taking a #SMOOTHIECONVERSATIONS field trip. After all, this ( #SMOOTHIECONVERSATIONS) is like LIFE SCHOOL. So sometimes, a field trip is needed. It’s needed for perspective and it’s needed for creative inspiration. So we packed our bags, booked our cute Airbnb with a porch, found some great #smoothies and headed to TEXAS. First on our list, Christin Rose. Bubbly ray of sunshine friend from LA who we were supposed to have a smoothie chat with a few months ago but got rescheduled to now which ended up working out perfectly and just as it should. Christin is someone we are so proud to feature as a #rolemodel. A true creative spirit who has a flow of LOVE AND JOY radiate off of her like a violent storm. 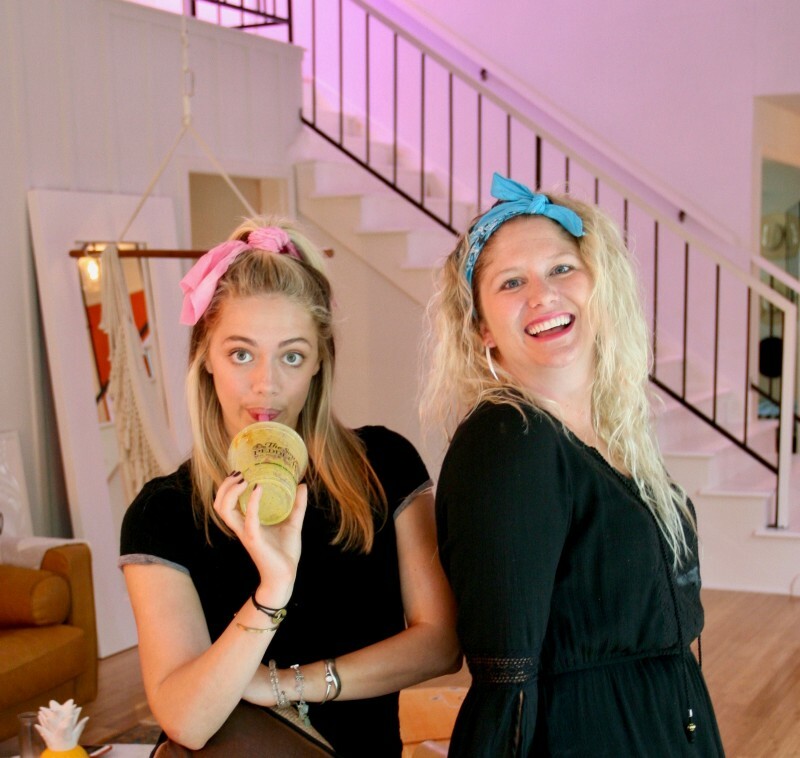 She so graciously invited me and Holly over to her 70s inspired home (think Ace Hotel Palm Springs Vibes… um hi, can I move in please)?!? 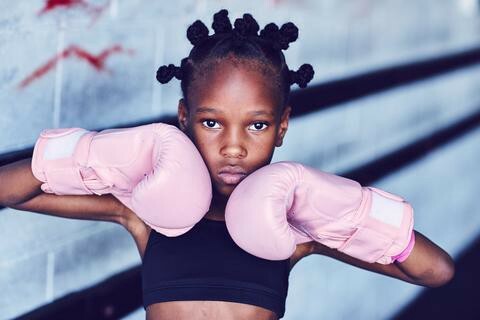 To drink smoothies and chat about her passion project SHE PLAYS WE WIN, a photo series movement that encourages young girls to participate in athletics. AMEN SISTER! I heart you. I heart this!!!!!!! Participation in athletics at a young age sharpens concentration and memory skills. It is proven that girls who play sports have a HIGHER SELF ESTEEM, lower levels of depression, and are more inclined to take ACTION towards their goals. In your own words, how would you define SHE PLAYS WE WIN? It’s a photo series movement celebrating girls, the sports that they play, and the lifelong benefits that they get from participation in athletics! I really wanted the voices of these young girls to come through my photos. I see it as a demonstration of their strength. Your background is in photography, but did you ever imagine your gifts and talents would be used for such a meaningful purpose? No. I mean I have always followed my heart and have done what I love. Nothing about this project is different from when I was 12 or 21, it just took me until 30 to realize how I could bring ALL OF THESE THINGS I LOVE together into one powerful force. It’s very obvious that you’re an enthusiastic human who celebrates LIFE. (A lot like myself.) Why do you believe in the importance of passion? People always ask how did you make all of THIS (project) happen? I truly believe if you’re passionate about something the world is going to respond. Doors will open and LIFE will show up for you. I think a lot of times FEAR gets in the way of people’s dreams and desires. How necessary is it to just jump in and start something and are we actually EVER ready? When I started I didn’t fully have the concept figured out. I just knew in my heart, I needed to start. So I did. One day I drove to the Venice skate park and just decided I was going to do this. I intended for this to help these girls but it ultimately changed my life. What are the foundational LIFE skills that girls learn from participating in athletics? Persistence… When you fall, you get back up. And what is the greatest lesson you have learned from the girls? I HEART YOU AND ADMIRE YOU CR. I love this! 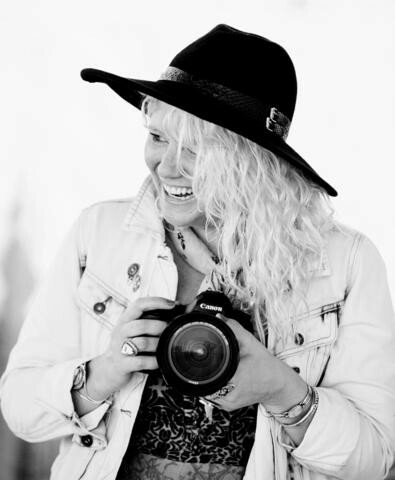 I love Christine and what she is doing to uplift and empower through her photography. Great article Britt!